David Goldblatt. (2012) Foreword, in Unfoldings: Heather Gourlay-Conyngham, Pietermaritzburg: Tatham Art Gallery. Page 5. Gourlay-Conyngham won the inaugural Sanlam National Portrait Award in 2013. 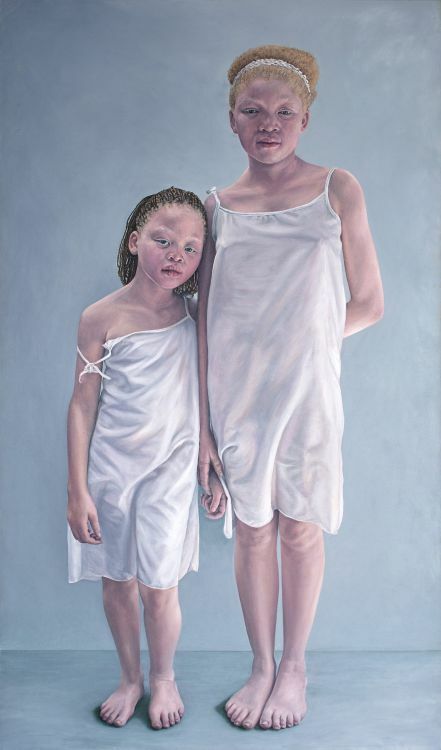 Rust-en-Vrede Gallery, Durbanville, Heather Gourlay-Conyngham: Recent Paintings, 30 June to 23 July 2015. Moór Gallery, Franschhoek, This Place, This Space, 21 October to 20 November 2016. KZNSA Gallery, Durban, Five Degrees of Realism, 21 March to 9 April 2017. Everard Read Gallery, Johannesburg, Being Human, 27 July to 19 August 2017. Tatham Art Gallery, Pietermaritzburg, Five Degrees of Separation: Terri Broll, Ian Calder, Heather Gourlay-Conyngham, Louise Hall and Terence King, 26 March to 20 May 2018. Tatham Art Gallery. (2018) Outline, Pietermaritzburg: Tatham Art Gallery. Illustrated in colour on the cover. It might still be available, contact us if you're interested.